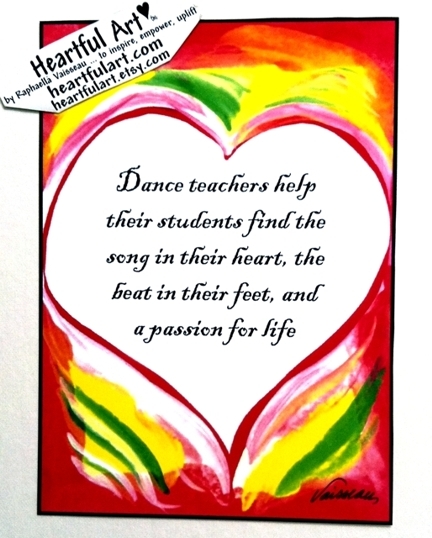 Poster or print with mat of quote appreciating dance teachers: "Dance teachers help their students find the song in their heart, the beat in their feet, and a passion for life." A wonderful gift for a student to give a dance teacher any time of the year. An acknowledgement of the contribution a dance teacher makes in the lives of his or her students. Sing. Dance. Live. Love. Express yourself. Be passionate.